3 Cocktails For National Punch Day! DrinkWire is Liquor.com’s showcase for the best articles, recipes and reviews from the web’s top writers and bloggers. In this post, Bardebex offers rum punch recipes. Why is National Punch Day such a glorious day? ALL OF THE REASONS. As we know, drinking is a social act–it's about the experience, company, warmth and connections. And one of the best ways to gather is with large serving beverages. This day is the perfect excuse for friend and family get-together, a game night, movie night, trivia night, poker night, or just flat out hang out night. Grab the people you love, make a punch for everyone and simply enjoy. Let's talk about an excellent mix of Summer and Fall, shall we? Here's a way to keep it tropical but still have some of those delightful toasty notes. 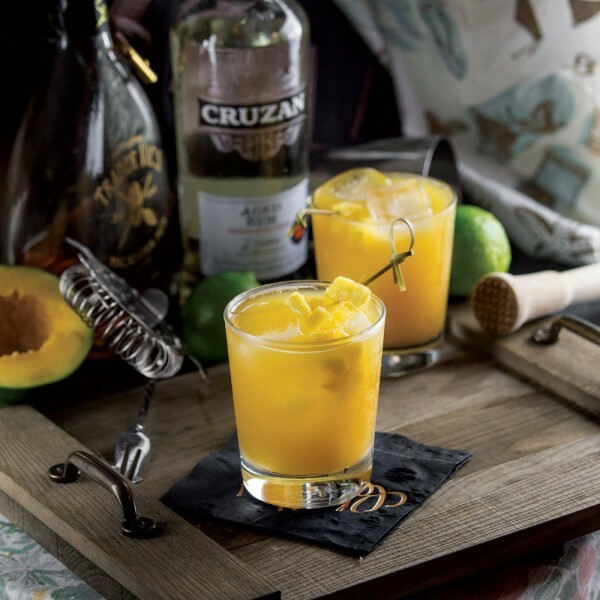 This mango and macadamia nut combo is one for the books. 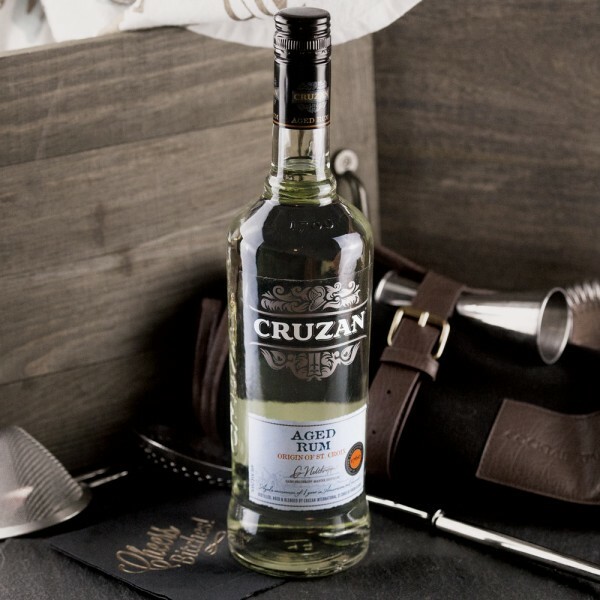 With a sweet nutty finish and a splash of tangy deliciousness–you'll have a cheerful group for sure. *Juice/muddle lime (or use lime juice). Add all ingredients into a mixing glass and shake vigorously with ice. Strain over fresh cubed or cracked ice into a rocks glass. Garnish with mango on a skewer, if that tickles your fancy. This is pure bliss in a glass, that's what this is. 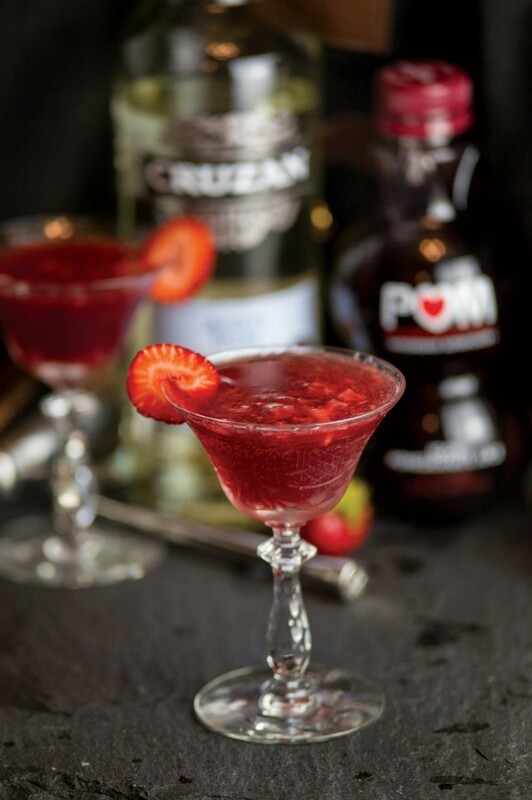 This punch is a mouthful of pomegranate and strawberry sweetness that'll have you swaying your evening away. With it's rich sunset color, you can't help but unwind with this fruity and bubbly punch. This cocktail is of comfort and escapism that'll have your whole crew cheers-ing. *Add all ingredients into a mixing glass and shake vigorously with ice. Double-strain over into a coupe glass. Top with club soda. Garnish with a strawberry slice and add in some strawberry bits, if you'd like. As we all know, rum goes great with pineapple...it's like the love story that always has a happy ending. Here's a simple rum pineapple punch that has a little spin to it. 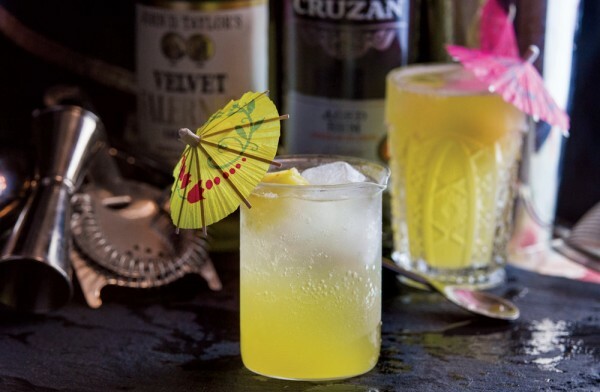 With adding some Velvet Falernum to the mix, this cocktail gets a wonderful spice of clove, lime, and some hints of ginger and almond. A light and refreshing drink that leaves you smiling. *Add all ingredients into a mixing glass and shake vigorously with ice. Strain over fresh cubed or cracked ice into a rocks glass. Top with club soda. Garnish with a pineapple wedge or a chunk on a skewer, if you're feeling crazy.